There is a lot of talk about virtual reality right now, and while the HTC Vive and Oculus are the big players, Google Cardboard still has some power. 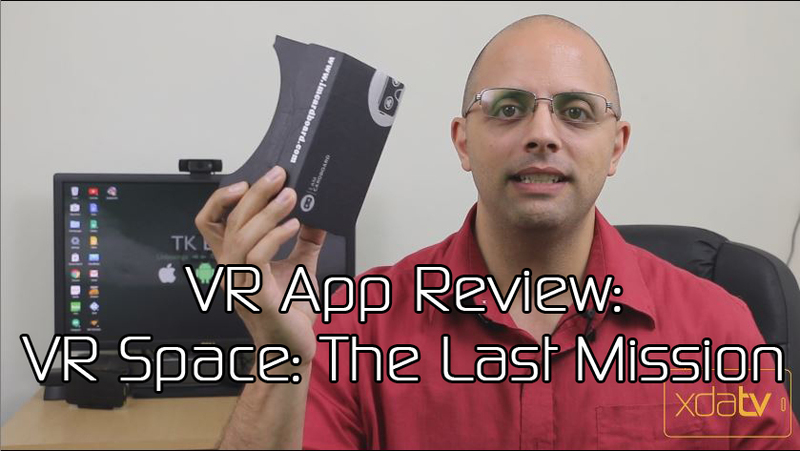 XDA TV Host TK takes a look at a VR game for your Google Cardboard. Check out this video to learn about VR Space: The Last Mission, than check out the forum thread to download. If you’re looking for more Google Cardboard goodness be sure the check out our Google Cardboard forums. Be sure to check out other great XDA TV Videos. Please subscribe to XDA TV and Subscribe to TK’s channel.